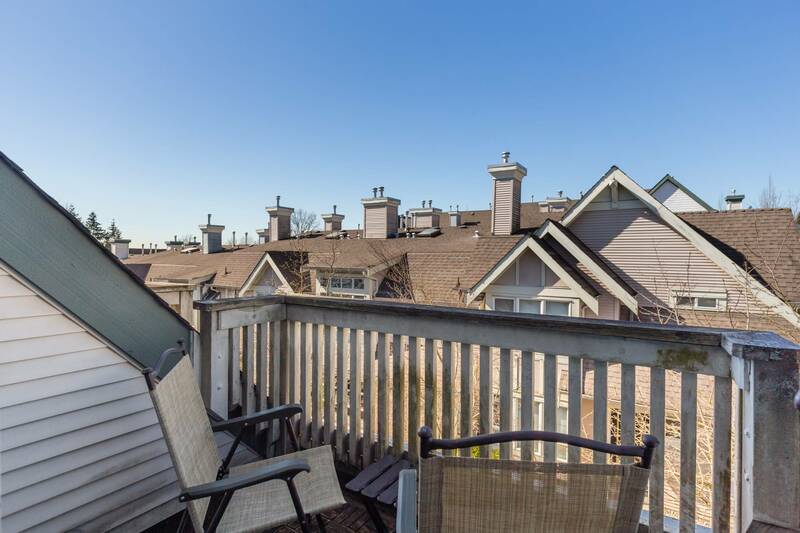 Rockhill by Adera: 3 storey, 3 bedroom END UNIT townhome in a private, gated complex. 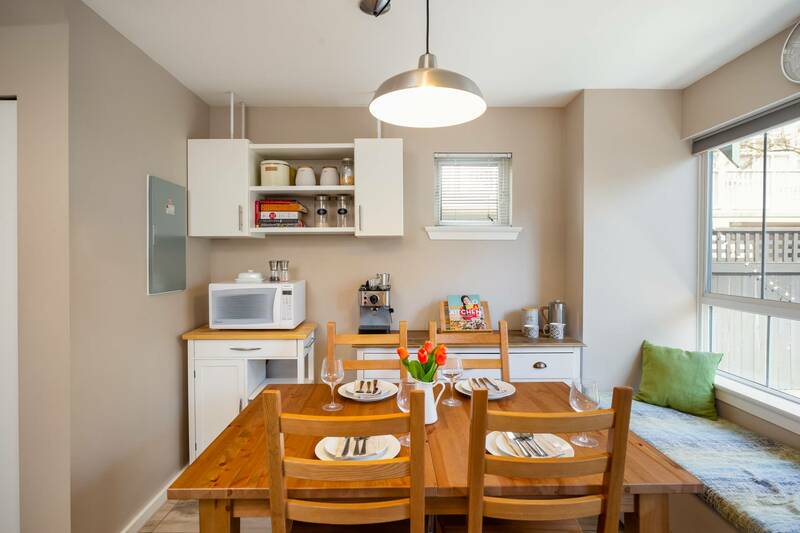 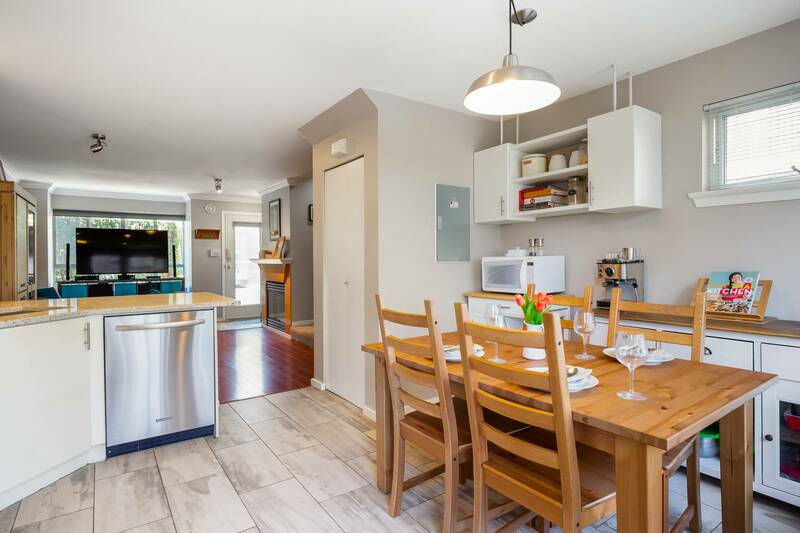 This bright and quiet home offers a highly functional layout with surprise storage throughout and custom blackout blinds. 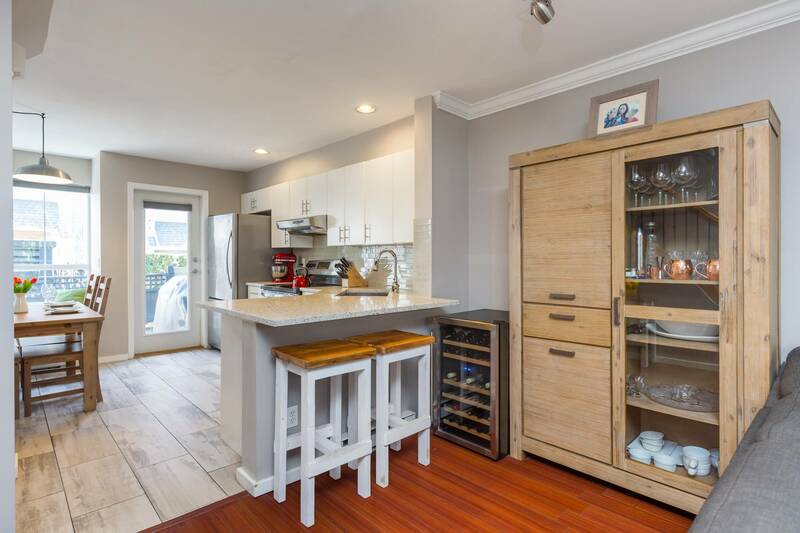 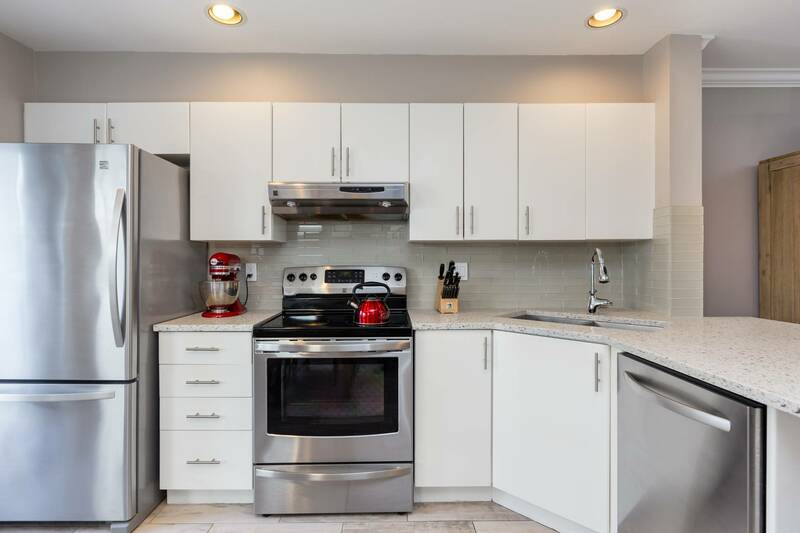 Kitchen features newer, stylish stone counters and s/s appliances (2015), new sink and faucet, newly tiled floor and freshly painted cabinetry! 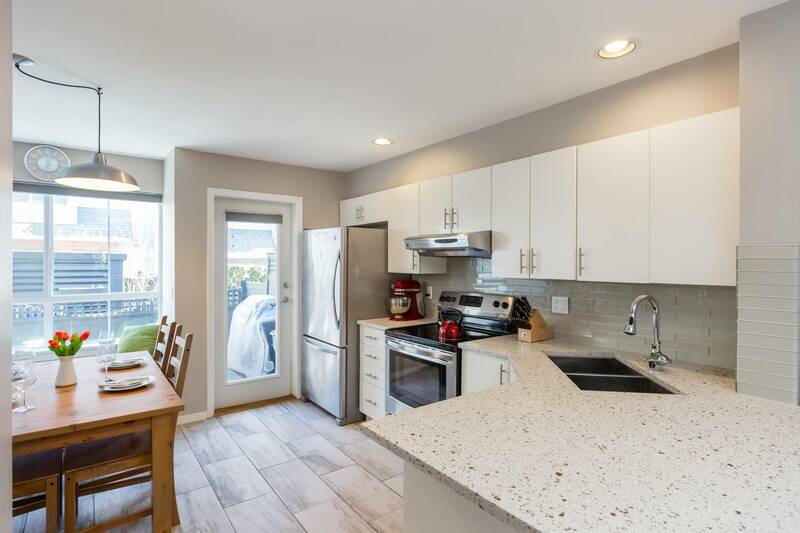 Renovated floor plan opened up the kitchen! 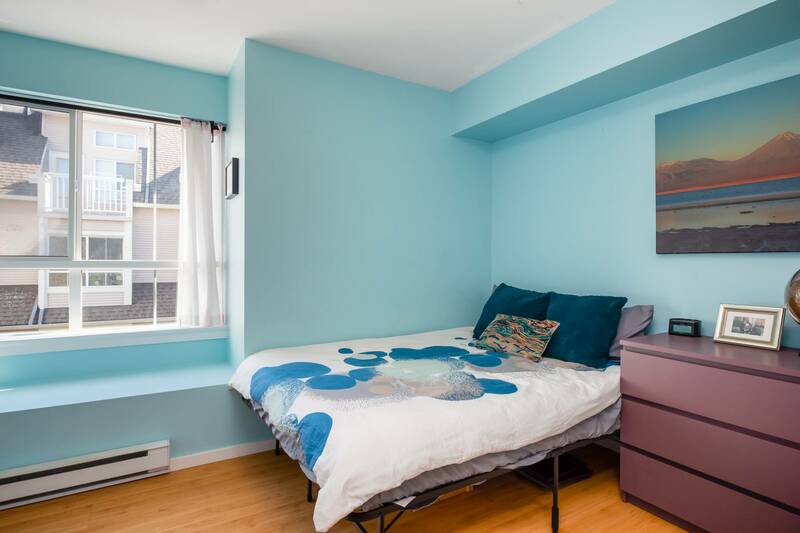 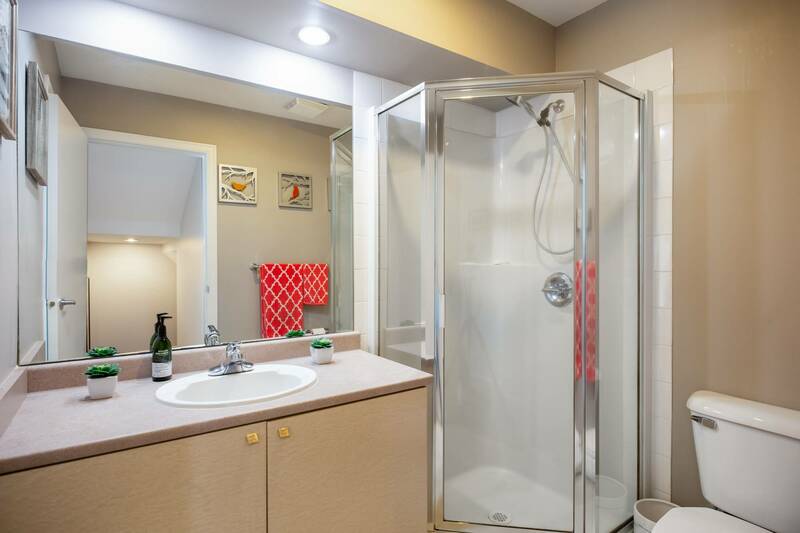 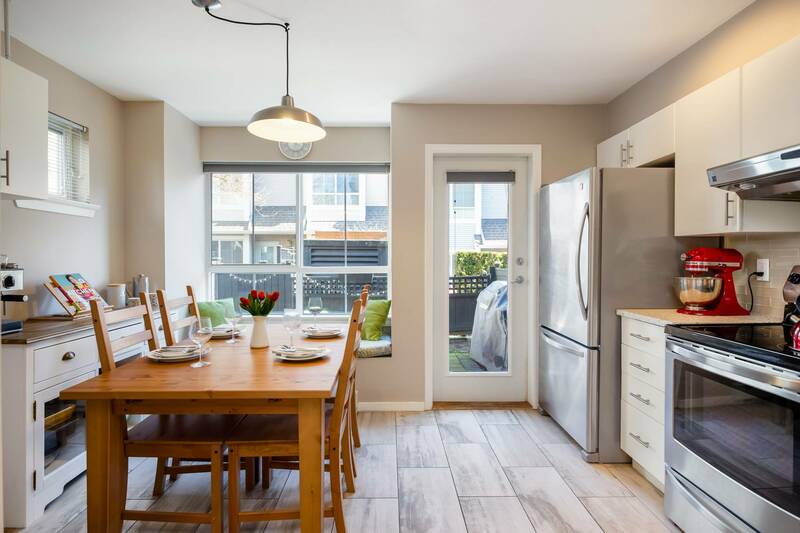 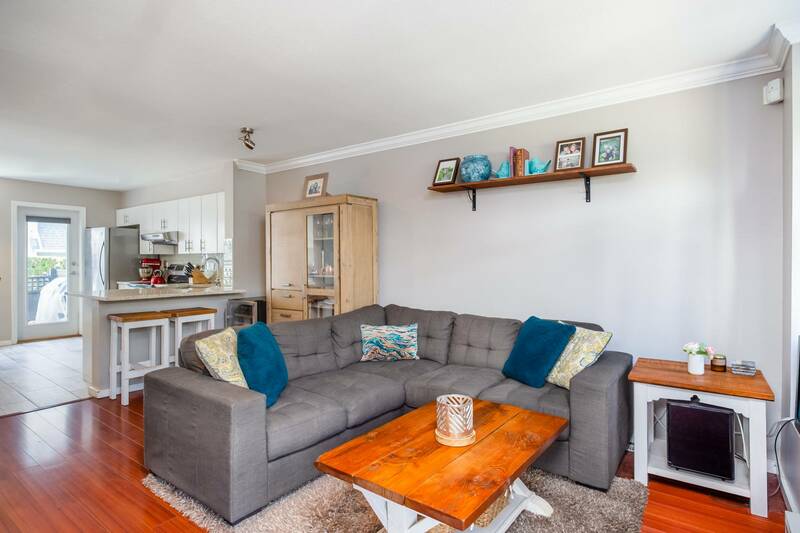 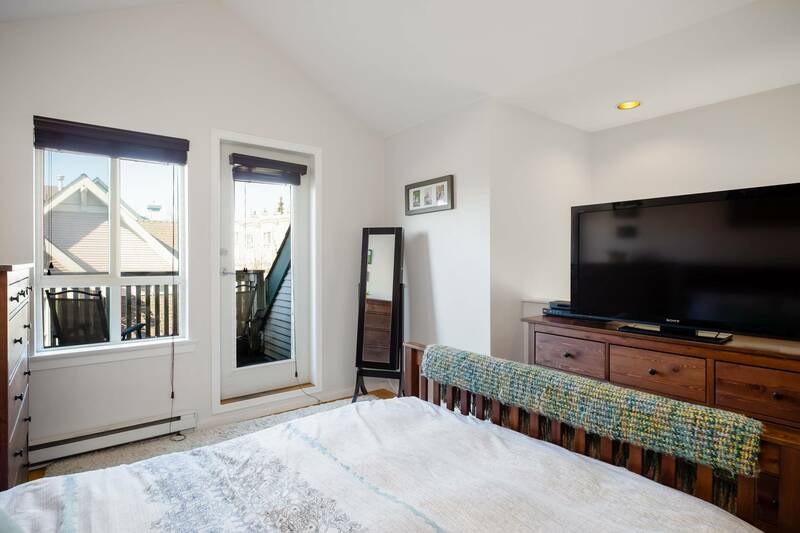 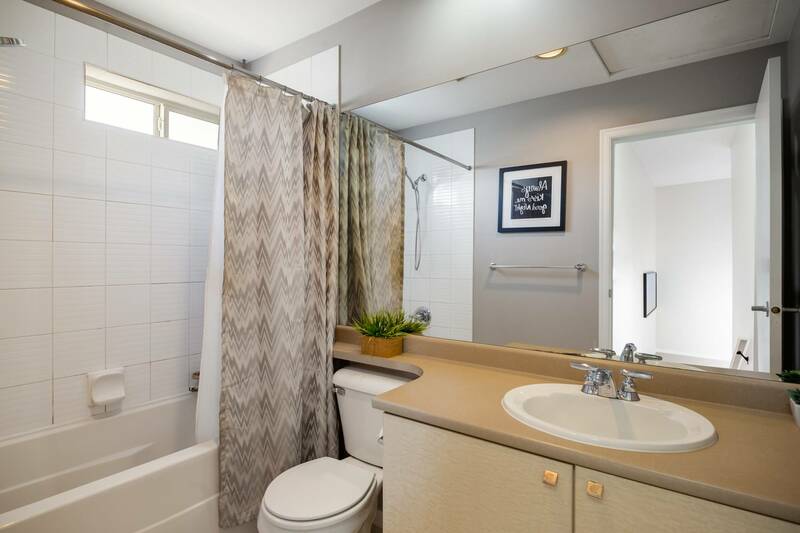 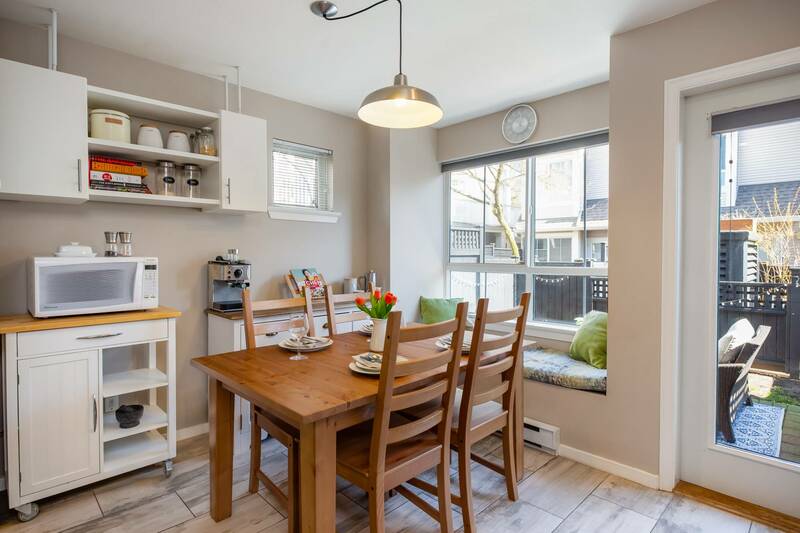 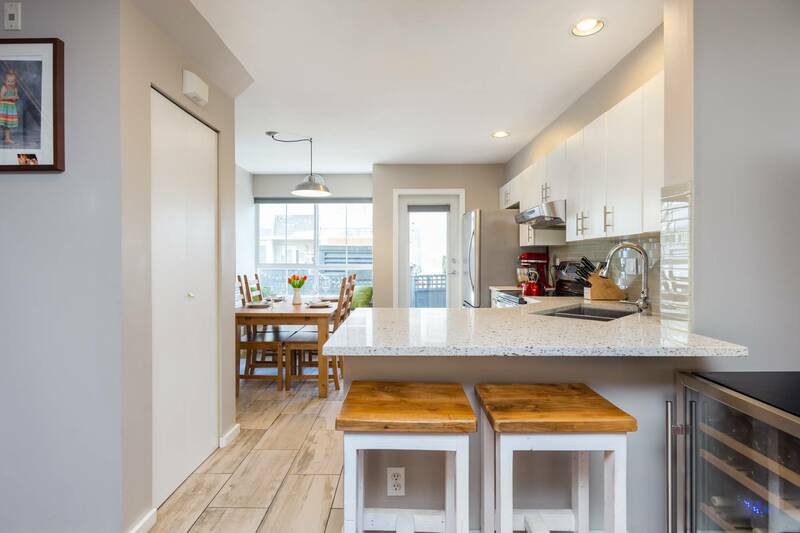 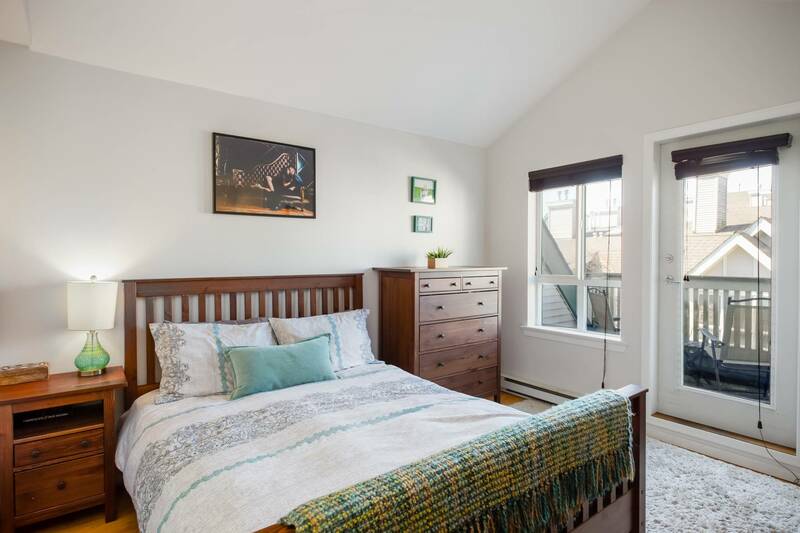 Living, dining and kitchen on main floor, 2 bedrooms and cheater ensuite bath on 2nd floor, super private Master Bedroom on 3rd with vaulted ceilings, custom walk-in closet organizers and ensuite. 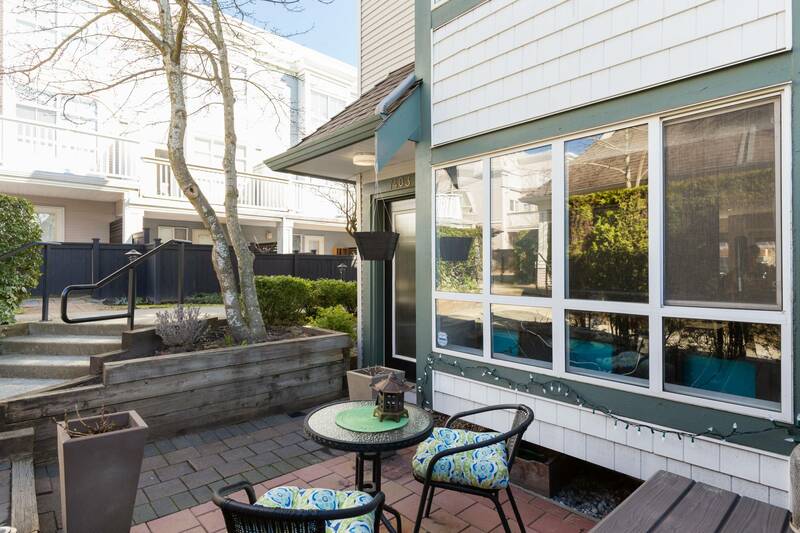 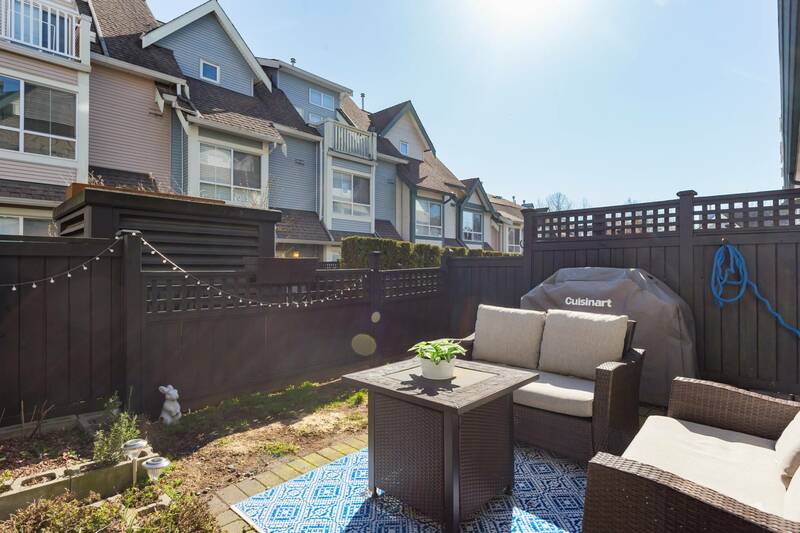 Fenced yard/patio (with newer pavers) off the kitchen makes the main floor ideal for entertaining and outdoor BBQs! 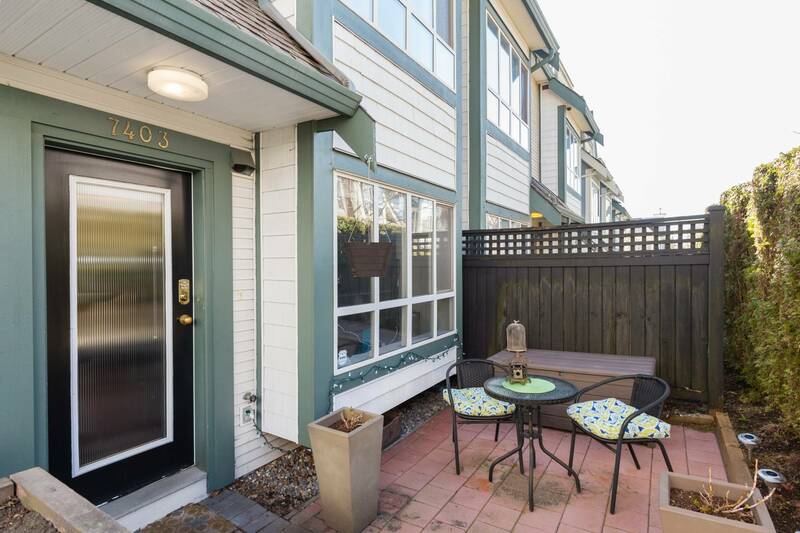 2 side-by-side parking spots. 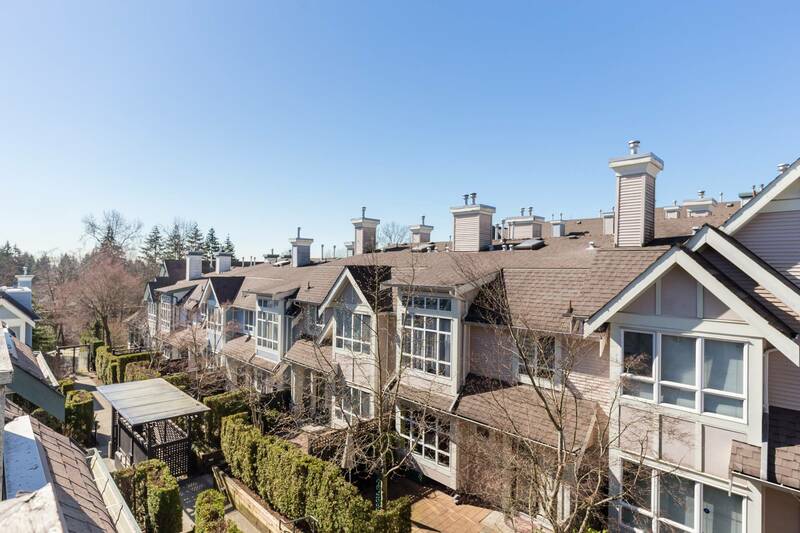 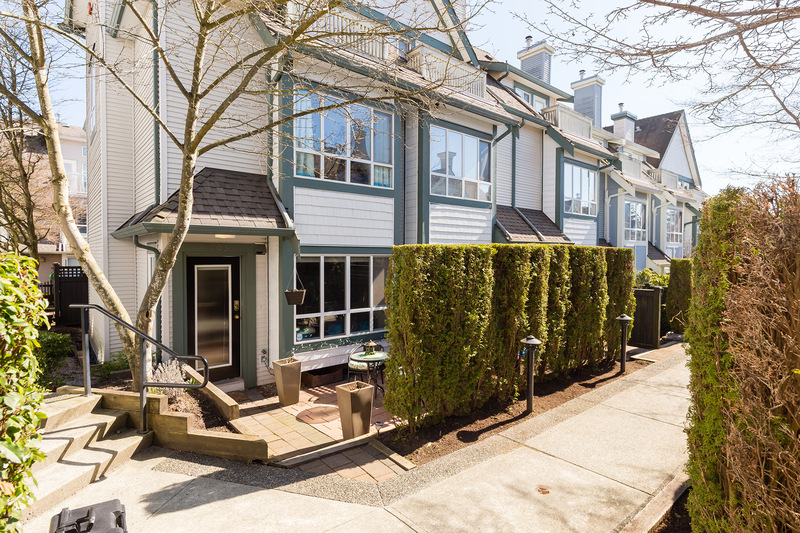 Walk to Edmonds Skytrain, shopping at Highgate Village, schools and daycare. 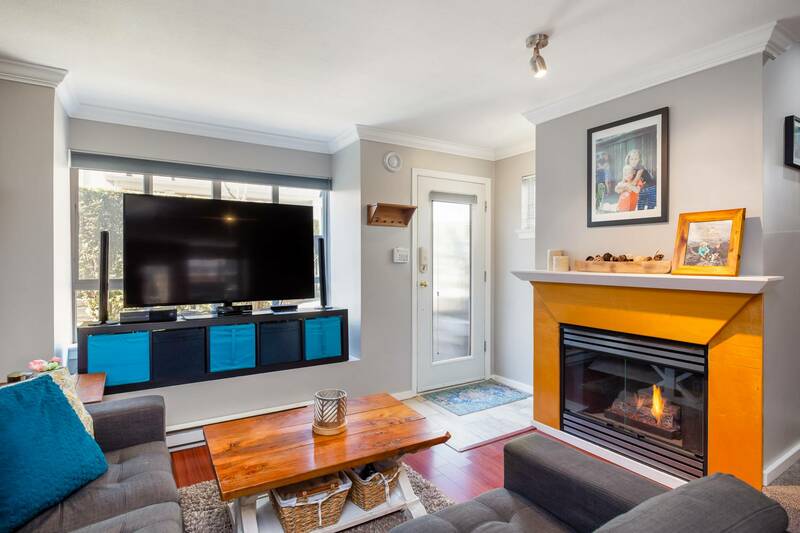 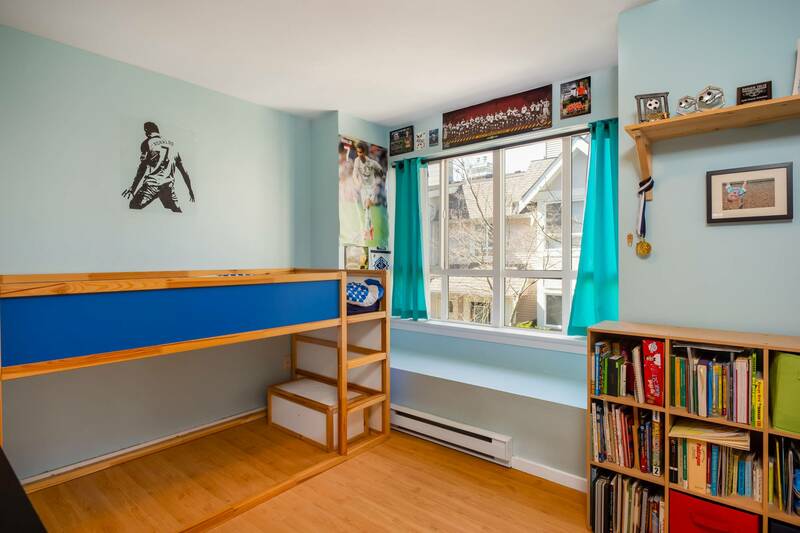 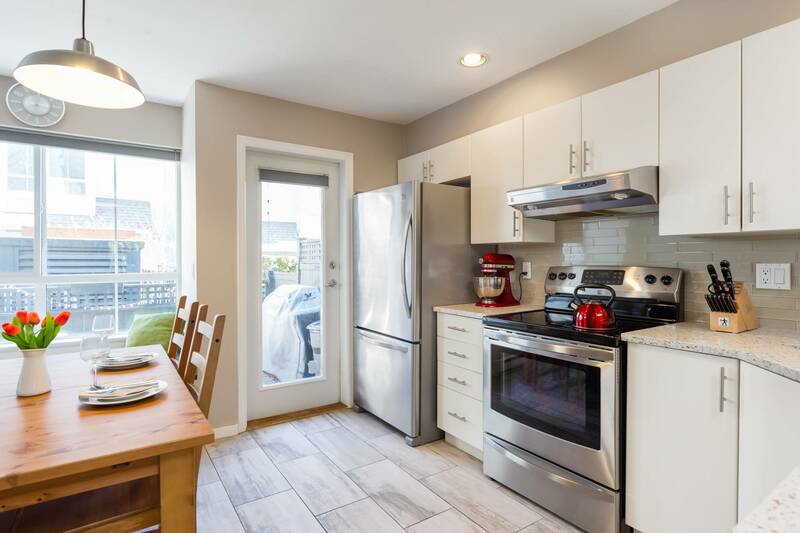 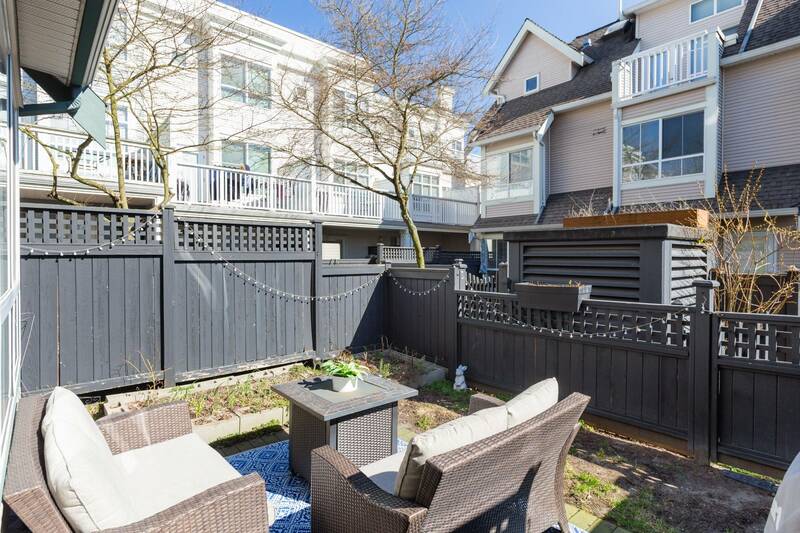 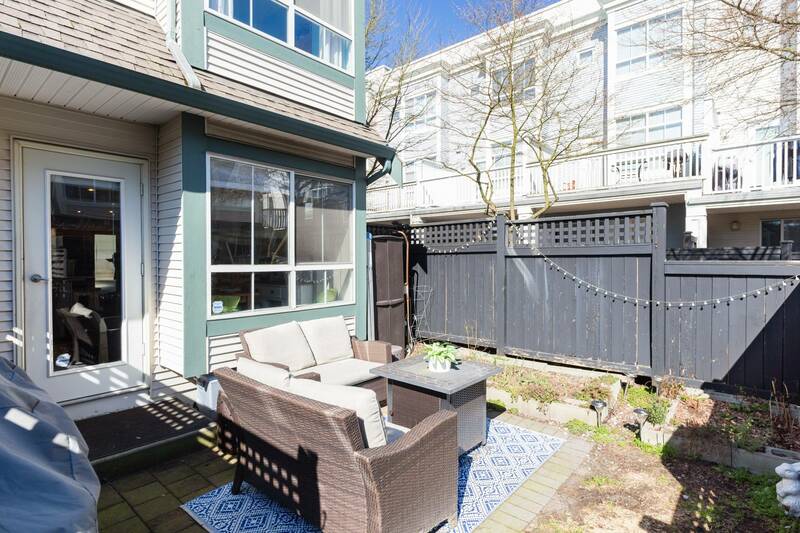 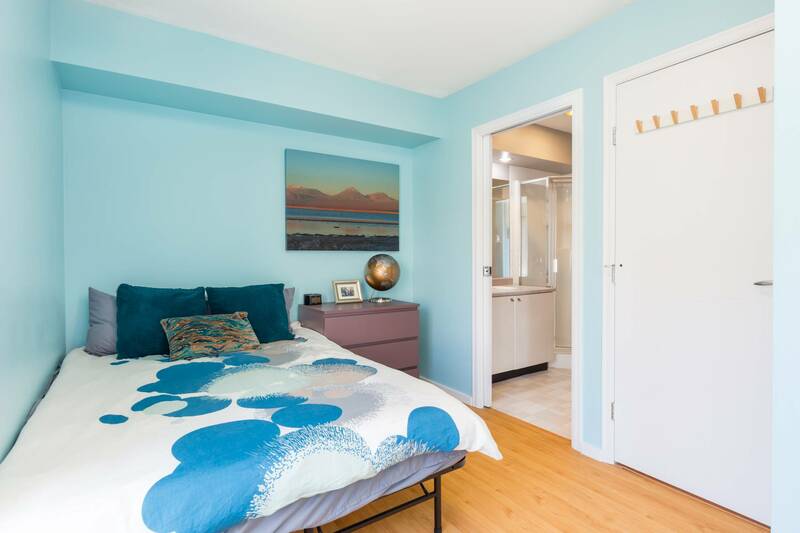 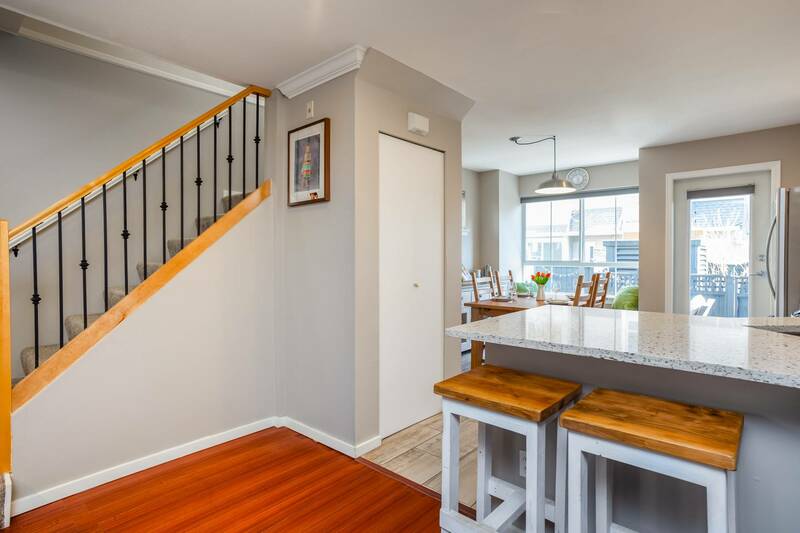 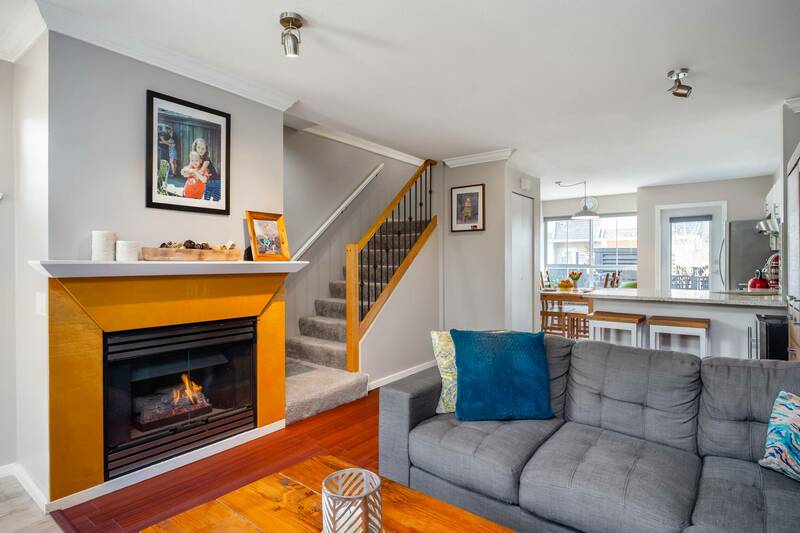 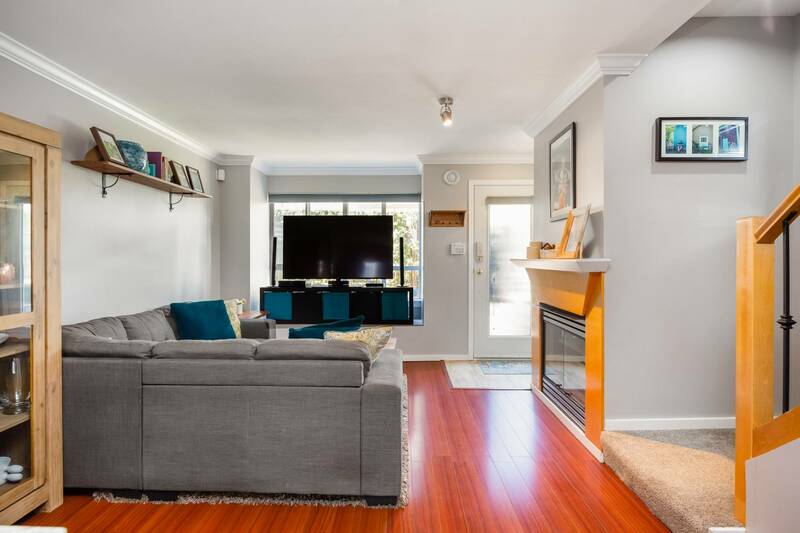 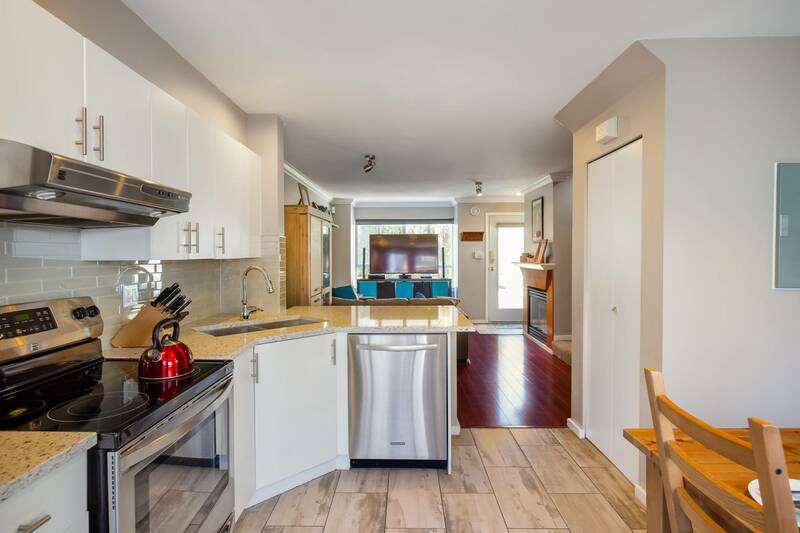 Minutes to Metrotown!